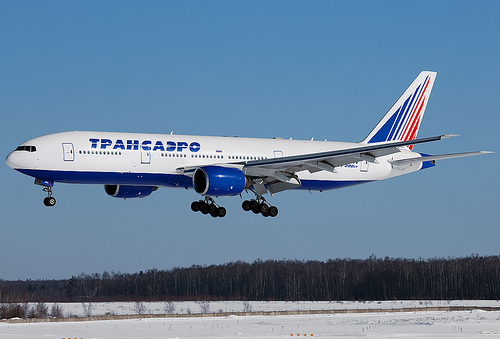 Transaero Airlines is to restore a significant part of the flight frequencies after some cutbacks in the winter schedule made after the New Year holidays to optimize the airline’s flight programme for a period of low demand. In December 2014, considering the pessimistic passenger traffic outlook, Transaero Airlines planned to reduce flight frequency on a number of routes till the end of the winter schedule. However, some positive developments gave the airline grounds to revise the earlier decisions on flight reductions. These developments include the successful results of the New Year flight programme, which set new records in the company’s history, a significant increase in sales on the official website of the company and at the airline’s ticket offices, and a number of measures undertaken by the airline to attract greater passenger flow. Transaero will restore flight frequencies on domestic routes in the end of January-beginning of February, and on international routes — in February-March. Starting from the end of January Transaero Airlines will increase flight frequency on the routes from Moscow to the cities in the south of Russia, including to Krasnodar, Rostov-on-Don, Mineralnye Vody, Stavropol and Anapa. The airline will operate up to six flights per day to the cities of Ufa, Samara and Kazan. The services between Moscow and Murmansk will be operated daily.